NDC: 57337-101 Eczema Care Moisturizing 3 Oz. NDC 57337-101 Eczema Care Moisturizing 3 Oz. 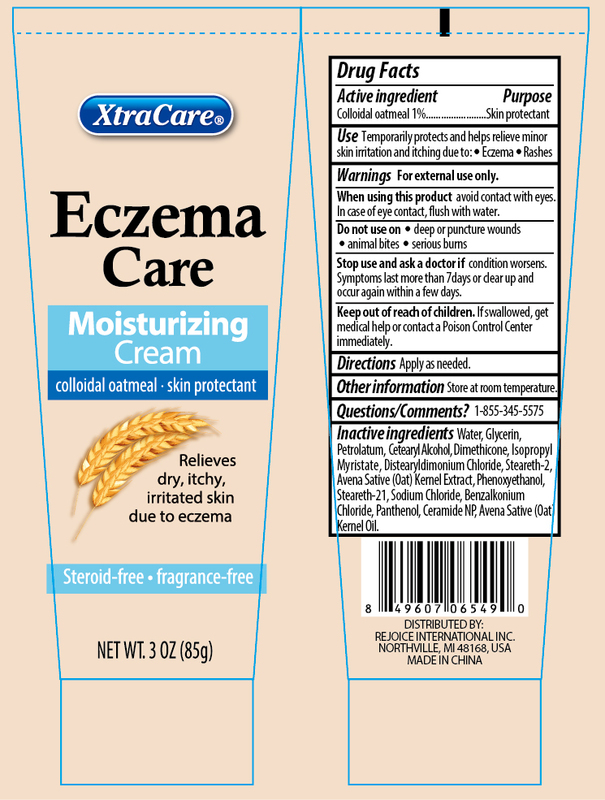 Proprietary Name: Eczema Care Moisturizing 3 Oz. What is the Proprietary Name? Eczema Care Moisturizing 3 Oz. with NDC 57337-101 is a a human over the counter drug product labeled by Rejoice International Inc.. The generic name of Eczema Care Moisturizing 3 Oz. is colloidal oatmeal. The product's dosage form is lotion and is administered via topical form. Condition worsens, or if symptoms last more than 7 days, or if they clear up and occur again within a few days.